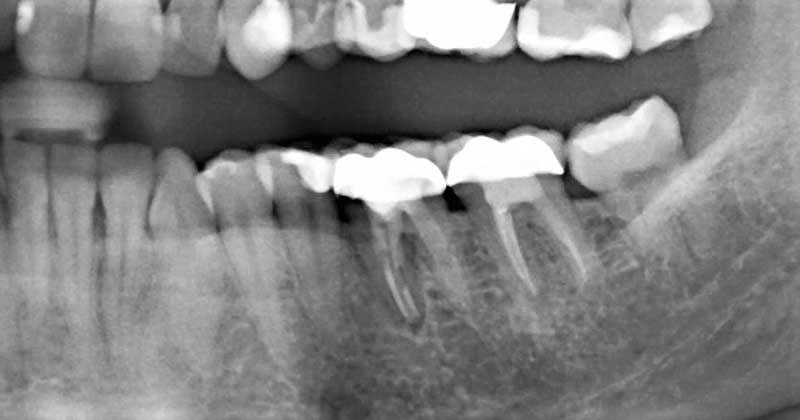 This Xray shows a root canalled tooth with an old crown and a chronic degenerative bone infection associated with the roots. 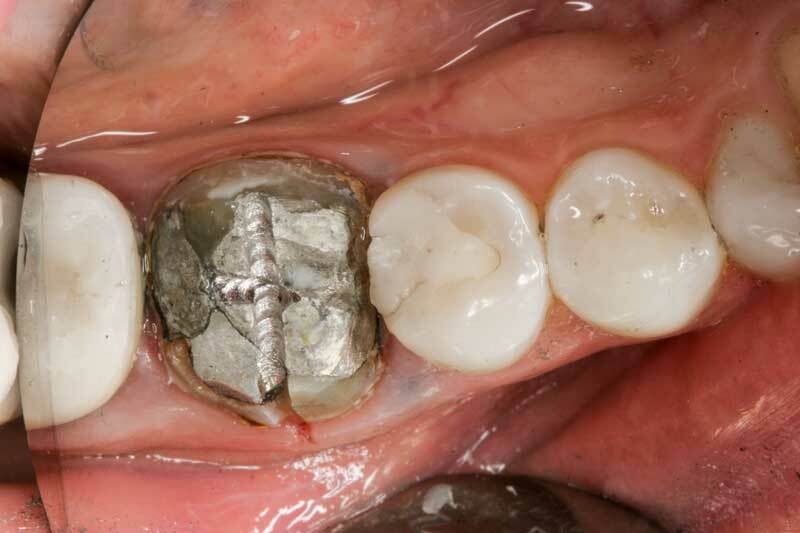 The crown was taken off before extracting the tooth surgically, to reveal a large mercury amalgam filling. 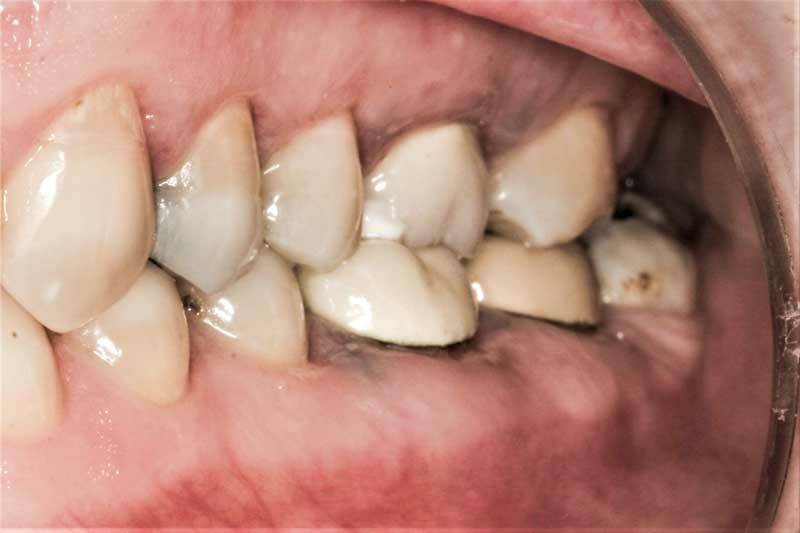 One can see that the gums next to the tooth were “tattooed” with the toxic metals in this alloy. 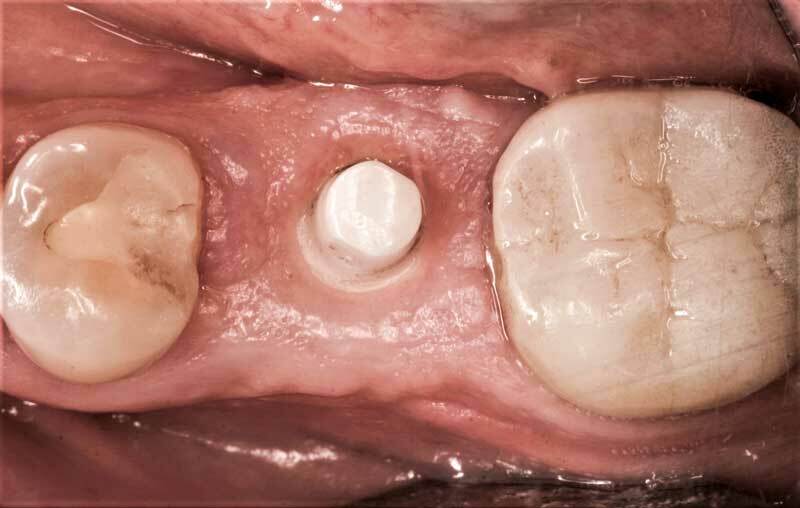 Six months after the tooth was extracted and the bone grafted, a Zirconia metal-free implant is placed. 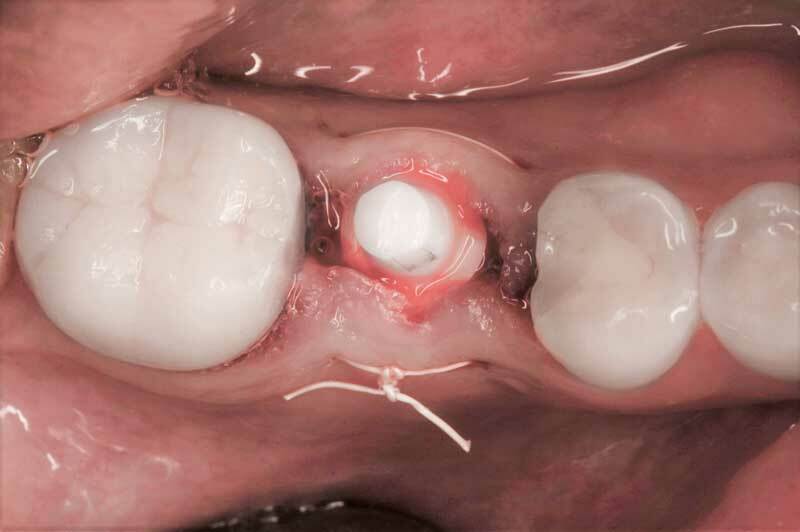 Three months after healing, the gums around the implant are healthier than ever. There is absolutely no foreign body reaction. 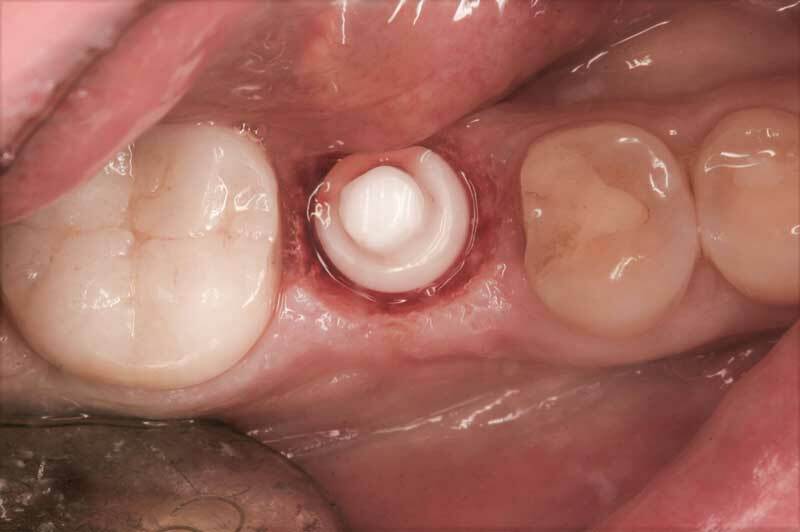 The Waterlase is used to expose the margins of the implant and create a favorable gum contour. An impression is taken to fabricate a crown. 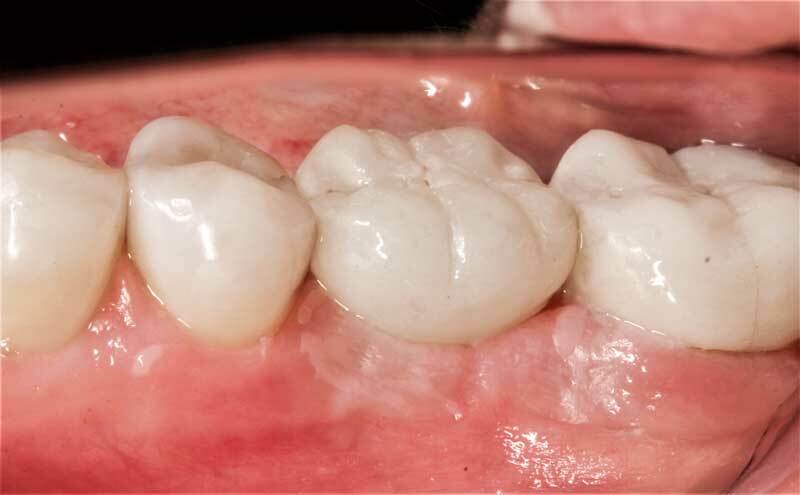 The porcelain crown (likewise made of a metal-free zirconia ceramic) is glued in place.